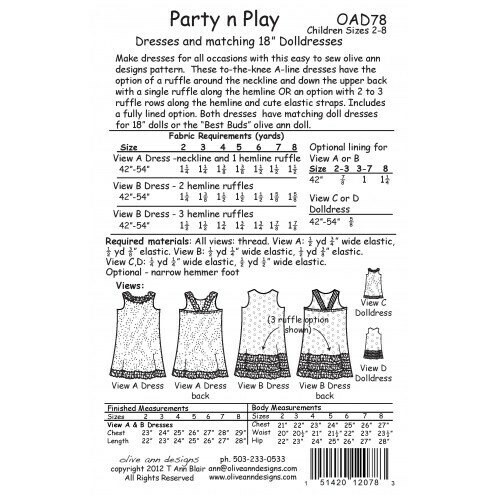 Make dresses for all occasions with this easy to sew Olive Ann designs pattern. These to-the-knee A-line dresses have the option of a ruffle around the neckline and down the upper back with a single ruffle along the hemline OR an option with 2 to 3 ruffle rows along the hemline and cute elastic straps. Includes a fully lined option. 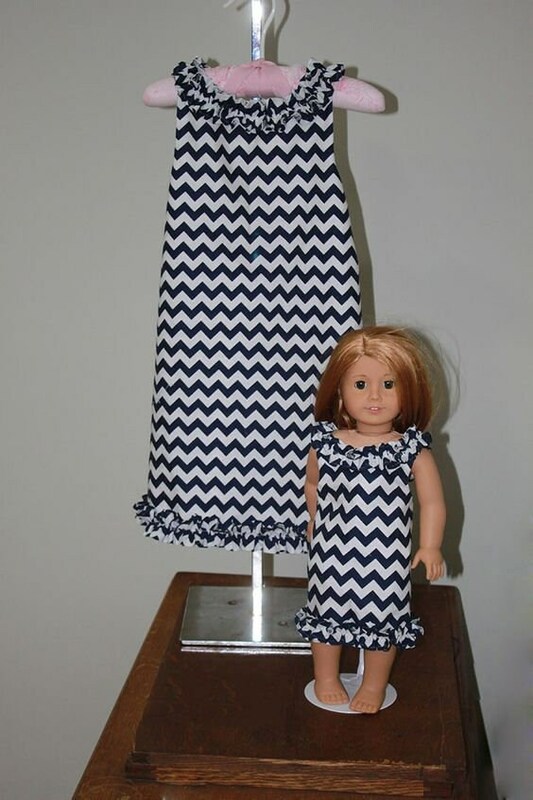 Both dresses have matching doll dresses for 18” dolls or the “Best Buds” Olive Ann doll.